"You can't just change what I look like without consulting me!" And so we approach the end of the Second Doctor's era. 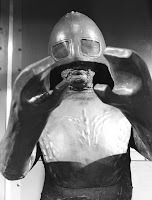 Beginning with the final three episodes of 'The Krotons'. This story has been much maligned in the past, despite the fact that it's the first story to be written by someone who will come to be considered as, arguably, one of the best writers the series ever had - Robert Holmes. Granted it's not a great story but neither is it as bad as some have made out. One of the chief objects of ridicule is the Krotons themselves. 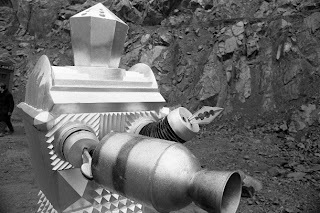 Looking like a cross between a Dalek and a fire hydrant with spinning crystalline heads, they may be possibly the most ridiculous looking monsters ever to appear in the series. And given that they're up against the likes of the Quarks and the Mechanoids for that title that's no mean feat. The 'interesting' choice of giving these aliens South African accents may also count against them. Nevertheless, don't judge a book by its cover (or a story by its monsters) as I was pleasantly surprised when I saw this story for the first time recently. It's actually quite fun and the TARDIS crew are on fine form with a lot of good banter between them. 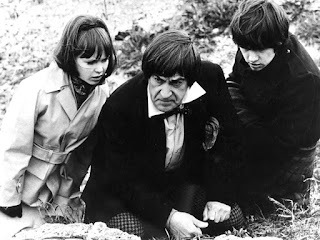 One thing that has just occurred to me: the next story 'The Seeds of Death' is the last 'monster' story for the Second Doctor. After this story it's humanoid villains all the way for our hero. And the choice of monsters for this story? The returning Ice Warriors who invade Earth (just for a change) with seeds that explode and somehow cause the Earth's temperature to fall to suitable levels for the warriors. For some reason the seeds also create lots of foams which gives Patrick Troughton the chance to fall over a lot and get covered in bubbles. After defeating the Ice Warriors it's back into outer space for 'The Space Pirates', the second Robert Holmes story this year. This definitely seems to have been influenced by some of the big budget American TV shows that were on television at the time - particularly Star Trek - with it's extensive use of model spaceships, characters with dodgy American accents and opera singers warbling over the soundtrack. Gene Roddenberry once said that he'd originally sold 'Star Trek' to the TV networks as a 'space Western' and while the series didn't really end up that way, Robert Holmes seems to have taken that idea literally with 'The Space Pirates'. 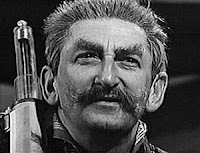 There's lots of talk of mining and the Doctor's chief ally, Milo Clancy, looks like he's just been out panning for gold in the hills of California while the pirates themselves are more like cattle rustlers than traditional pirates. The one main complaint that most people have of this story is that the TARDIS crew don't really get involved in the story proper until almost halfway through. 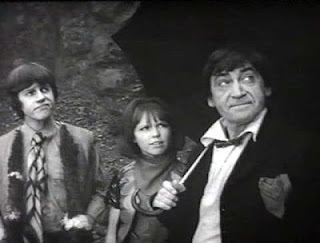 Fortunately that's one criticism that can't be levelled at the final story of the Second Doctor era, 'The War Games'. Fittingly, for a finale, this is an epic story, an impressive 10 episodes in length, and also provides some background to our mysterious hero. It begins in 1917 at the height of the First World War and initially appears to be a fairly standard historical adventure. But quickly the Doctor, Jamie and Zoe realise that not everyone is who or what they appear to be and that they aren't where they expected to be either. They are in fact on a world made up of different zones where humans are used to enact historical wars (World War I, The American Civil, The Crimean War and so on) for real. The leader of the aliens running these war games is the appropriately named War Lord and he is being aided by a man calling himself the War Chief who as we later discover is another renegade Time Lord, like the Doctor. 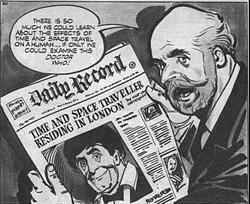 And, yes this is the first time that the words 'Time Lord' are spoken and that the Doctor admits to being one. What makes this story so epic is the sheer scale of it. The Doctor manages to get soldiers from all of the different war zones to work together defeat the War Lord and War Chief. But even after that is done, the Doctor realises that he'll never be able to return the thousands of kidnapped human soldiers to their own time without help. And so the Doctor reluctantly calls on his own people for help. 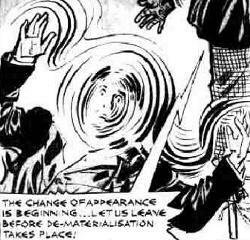 And so off he spins, our last glimpse of the Second Doctor, for now at least. And this is the last we'll see of Doctor Who in 1969. For the first time since the series began there would be no new series starting in the Autumn. 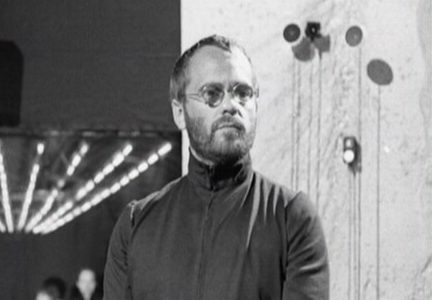 The new season would instead begin in January 1970. Nothing at all this year. As with last year, the only book published in 1969 was the usual Doctor Who Annual, the final one featuring Patrick Troughton. Although TV Comic can be criticised for many things such as an out of character Doctor, juvenile writing and existence of John and Gillian, one thing that one has to admire is how they handled the Doctor's regeneration and exile to Earth. On TV 'The War Games' had come to and end in early June 1969 with the Doctor being exiled to Earth and being told that he would regenerate. 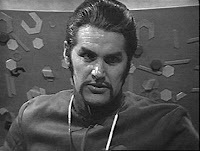 However the next series, complete with a new Doctor wasn't due to begin until January 1970. With the comic strip running all year round what was TV Comic to do? In a rare attempt to actually tie with the TV series, they decided that the strip would show the Doctor exiled on Earth and having adventures there. However, crucially, he had managed to give the Time Lords the slip so that they couldn't force him to change his appearance. So from July to November 1969 readers could thrill to the Second Doctor's adventures in exile. And the Doctor seems to be enjoying himself. He appears on TV and makes the headlines of newspapers, generally becoming a bit of a celebrity. He's basically Professor Brian Cox 40 years early. But ultimately his fame ends up being his undoing. ...All of which rather cleverly ties into the opening episode of season 7 which was due to air on TV just a few weeks later.